I don’t eat candy often, but occasionally it just seems right and I find myself drawn to a bag of pick 'n' mix, aka ‘penny sweets’, if for no other reason than the delightful quaintness of that phrase. They don't cost a penny, but call to mind a time when they did- when gangs of little kids roamed the streets of England playing conkers, or kick the can, or whatever it was quaint-old-fashioned-kids got up to. Usually for me, penny sweets come around when Steve is feeling nostalgic about the days in Nottingham when he was the neighborhood paper boy and the UK only had something like 2 TV channels. Even those went off the air for a good part of the day, and were replaced with a single still image of a little girl playing jacks. Ah, so far away from my childhood in Marietta, GA, where I thought I was the most deprived kid I knew because my parents wouldn’t pay for MTV and Nickelodeon! When a bag of pick ‘n’ mix appears, I just go through it for one thing: the really tart sour chewy things coated in sugar. I love that stuff! It’s addictive, that feeling of a sour rush hitting you and making your eyes water for just a second before the sweet comes in and softens the blow. Rhubarb may seem miles off from penny sweets, but I’ve been craving it lately and considering why it's so good. I think it’s because it’s the fruit equivalent of chewy sour candies, like some kind of alien fluorescent pink vegetable that couldn’t possibly be of this world. It looks almost unnatural, and makes your mouth feel as if it’s turned inside out. 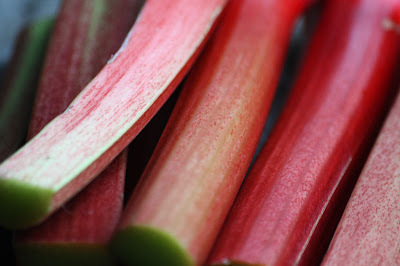 Rhubarb is a wonderful thing, and one I pledge to eat more of. Try baking it with sugar and vanilla to make a thick syrupy mush, which when dumped over ice cream turns vanilla into one of the most exciting flavors around. Spread the sugar into an even layer at the bottom of a baking dish. Rinse your cut rhubarb in a colander but don’t shake off all of the excess water- instead dump it into the sugary dish while it’s still wet. Keep the rhubarb in a single layer so that it's all in contact with the sugar. Sprinkle the vanilla over the top, and bake in a 180C oven for about 30 minutes. 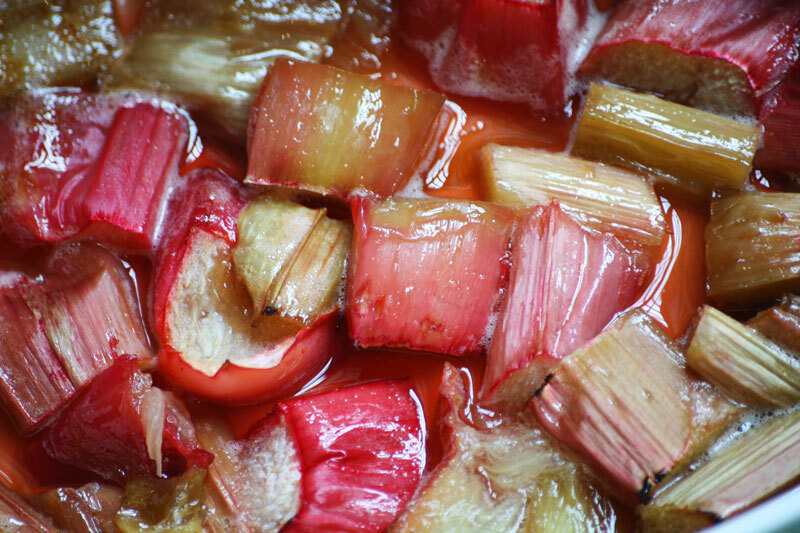 The sugar will turn runny and syrupy and the rhubarb will just fall apart. Let it cool, and dish it up over ice cream.